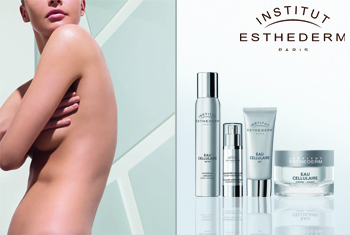 The Institut Esthederm Cellular range will complement every beauty ritual to bring freshness, radiance and vitality to the skin. Inspired by the water found in skin, Cellular water optimises the cellular energy and helps cells maintain their youthfulness. At the heart of all Institut Esthederm skincare, the Cellular range will energise the skin and increase the effectiveness of all treatments.